As we age our facial skin and soft tissue undergoes the "3 Ds" of aging deterioration (wrinkles, pores, texture, brown and red pigmentation), descent (droopiness of the soft tissue) and deflation (loss of the above supportive fat buttresses). For skin deterioration, we have Botox, intradermal fillers, laser skin resurfacing, and medical skin care products. For deflation, we have the VolumaLift™. How is the VolumaLift treatment performed? Your VolumaLift physician or health care professional will take an injectable gel product (Restylane, Perlane, Juvederm, Radiesse, etc.) and inject specific amounts of the product into the specific fat buttress regions, restoring the 3 dimensional structure to the soft tissue envelope, plumping out, filling and lifting the overlying facial skin and restoring the attractive "fullness of youth." Once you've finished your consultation and you and your physician or health care professional feel you are a VolumaLift™ candidate, the actual injectable facelift and volumization takes less than one hour to perform. The VolumaLift is not very painful. The skin is frozen with local anesthesia prior to the procedure and the needles are passed through only the frozen skin. The injectable gel used during a VolumaLift is deposited very deeply along the facial bones, where there are very few pain fibers. The injectable fillers are much more painful when injected into lines than when they are used deeply to contour and shape the face. There is virtually no pain after the VolumaLift is completed. Are there any risks to VolumaLift™? The VolumaLift is very safe but you may experience some bruising and swelling, asymmetry (which is correctable), as well as a very remote chance of allergic reaction or infection. Lumpiness may occur, but is usually palpable and deep and not visible. Simple massage will usually correct any lumpiness. Yes, the VolumaLift goes well with Laser Skin Resurfacing, Botox, and intradermal line fillers. Dr. Adam J. Scheiner may elect to combine several of the minimally invasive procedures together for best results. If you appear more "tired," sunken, deflated or hollowed then you'd like, you are likely a VolumaLift candidate. If the tail of your brow is drooping, you have bags and/or hollows under your eyes, have lost your strong or full cheekbones, have deep smile and marionette lines, developed an early jowl, and have lost lip volume or have a droopy nasal tip, then you are likely a VolumaLift candidate. Find out how the Volumalift™ Injectable Facelift is helping thousands of people look younger by restoring youthful volume to their faces. Is there any downtime after a VolumaLift™? Yes, there is an unpredictable degree of bruising (everyone is different). One should plan on between 1 - 3 days before you can use Jane Iredale camouflage makeup effectively. One should also discontinue any medically unnecessary aspirin, NSAIDS and blood thinners. The Volumalift™ Injectable Facelift is a revolution in facial aesthetics which can quickly rejuvenate the entire facial appearance through an in-office procedure giving immediate results with minimal downtime. 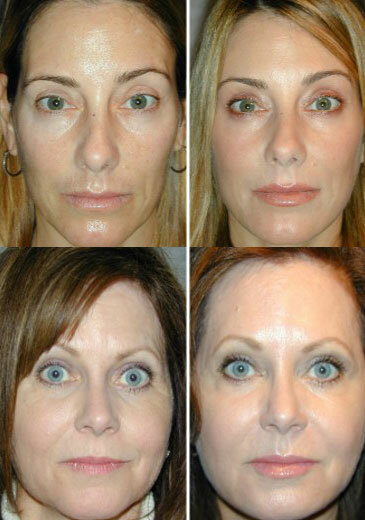 For more information about Volumalift™ Injectable Facelift consultation, call (813) 367-1915. The VolumaLift is a procedure that is designed to bring back youthful beauty, vitality and attractiveness through the volumetric replacement of soft tissue that has been lost with age. The VolumaLift is a volumetric facelift, restoring "the fullness of youth" safely, effectively and non-surgically. As the name itself implies, the VolumaLift produces a "rested" and "lifted" look. Find out how the Volumalift™ Injectable Facelift is helping thousands of people look younger by restoring youthful volume to their faces. To discuss your personal cosmetic concerns with our staff and find out if the Volumalift™ Injectable Facelift is right for you call us at (813) 367-1915.